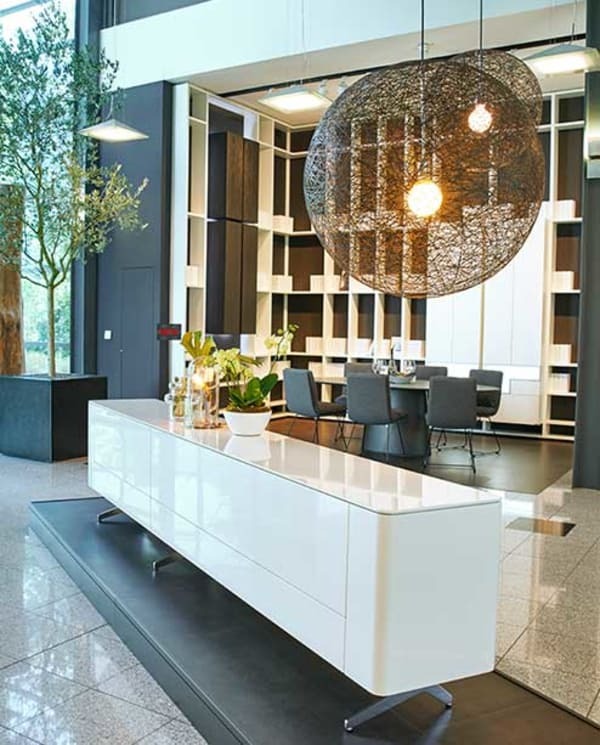 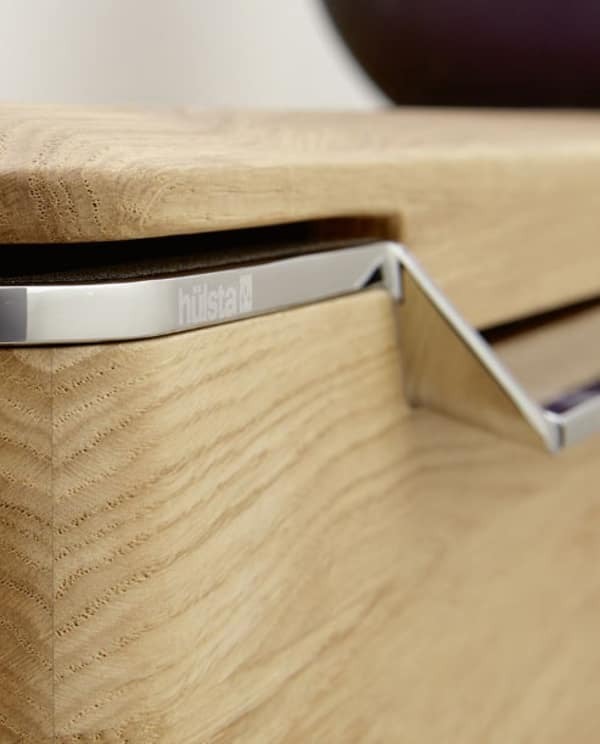 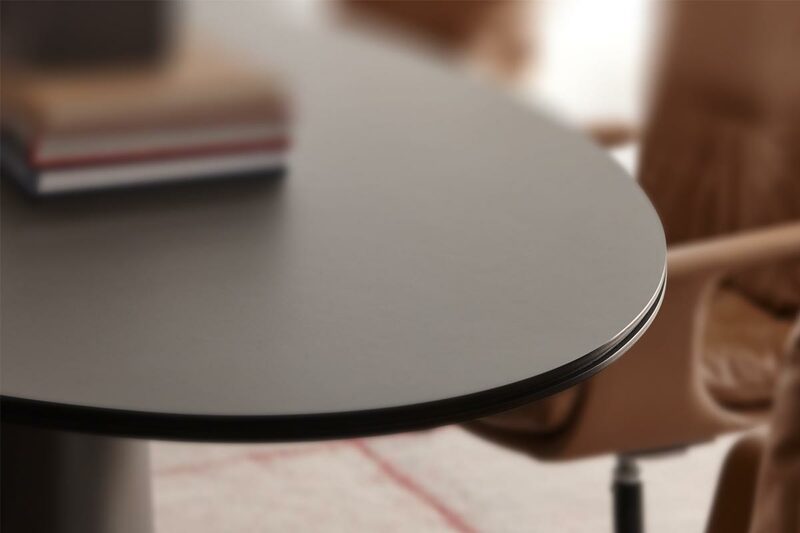 DINING - Table T 80 | hülsta - Design furniture Made in Germany. 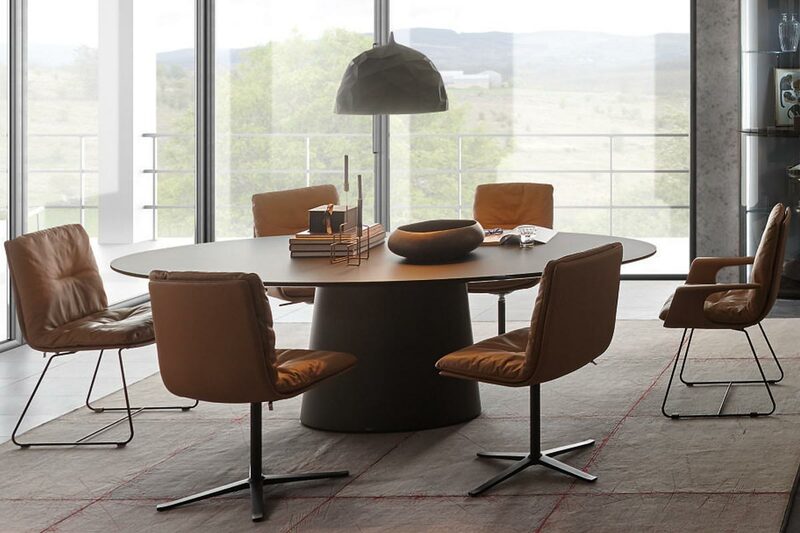 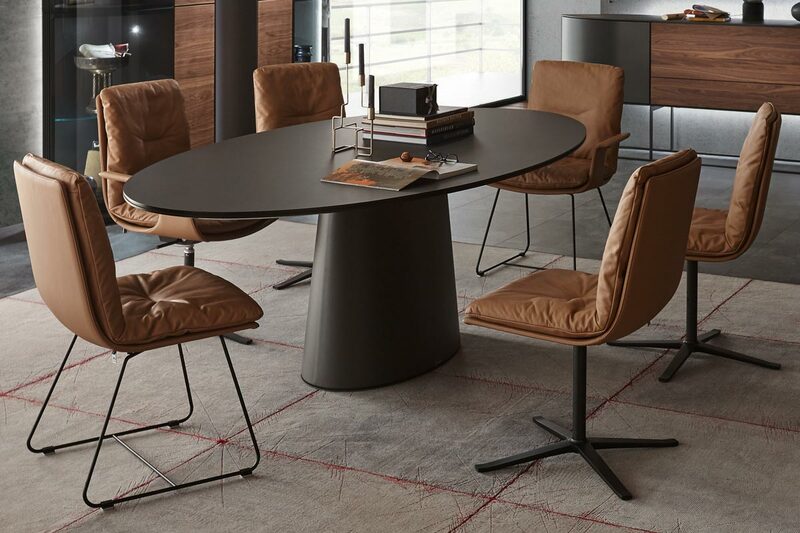 For a family breakfast or a gathering with friends: the designer table T 80 brings people closer together. 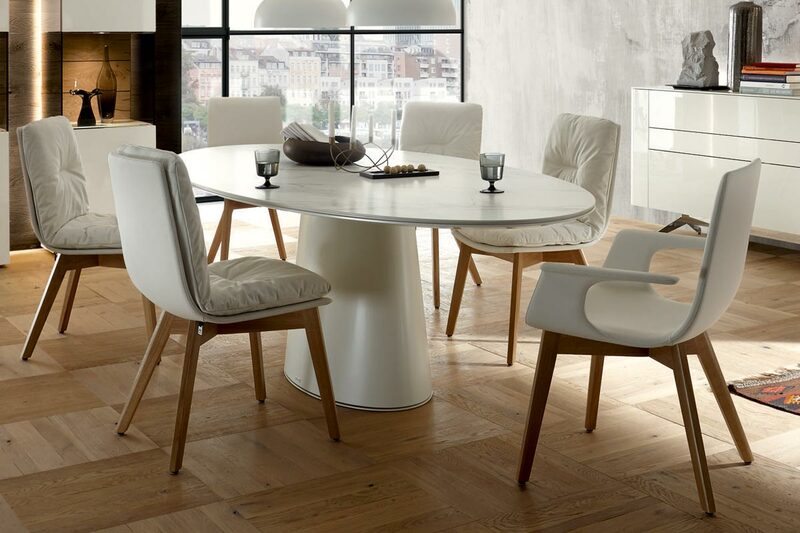 As an inviting centrepiece, it loves to take up position in the middle of a dining-living area. 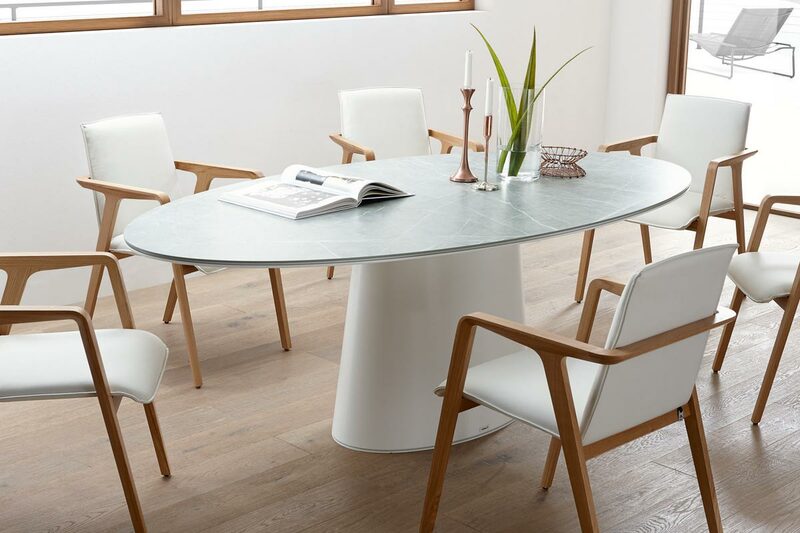 Its elliptical table top made from warm wood, cool ceramic or smooth Fenix is supported by a metal leg in a balanced design.